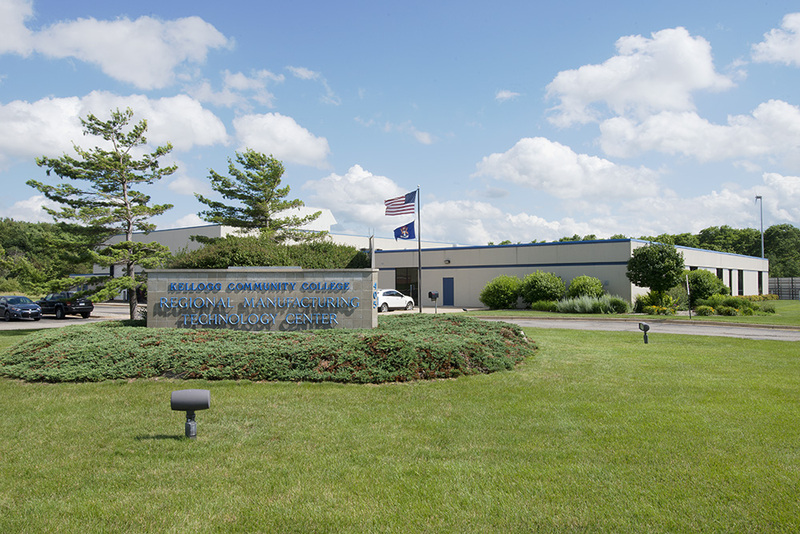 Kellogg Community College is seeking a highly motivated individual with strong leadership skills to assume the position of the Director, Regional Manufacturing Technology Center (RMTC), Industrial Trades Education and Workforce Solutions. View the job listing or apply now online at https://jobs.kellogg.edu/postings/437. This full-time, administrative position will report to the Dean of Workforce Development and will be responsible for leading the activities associated with the RMTC’s Industrial Trades programs and Workforce Solutions. This includes representing the College with employers and community partners to ensure KCC programs and courses address the needs for a skilled workforce. In addition, the Director will manage the operations of the RMTC facility and provide leadership to faculty and staff. This regular, full-time administrative position will work 8 a.m. to 5 p.m. Monday through Friday, with evening and weekend hours as needed by the College. A master’s degree (MA, MS) or equivalent in business, leadership or other related field of study. A minimum of two (2) years of work experience with budget planning and management. Minimum of three (3) years of progressively responsible and related experience working with employers and community partners to address the needs of developing a skilled workforce, especially in the manufacturing sector. Leadership ability as evident by employing organizational and systems management, strategic planning and continuous quality improvement principles in leading a department and/or program. Evidence of strong verbal and written communication and collaboration skills, including professional presentations and report writing. Experience managing the human resource process of hiring, developing, evaluating and supporting staff. Experience with securing, managing and/or closing federal, state and local grants ensuring all outcomes are met. Experience working within a community college environment. Experience with educational program development. Experience with curriculum design in varied formats (traditional and online). Experience with teaching in varied formats (traditional and online). Experience with apprenticeships and other work-based learning models. Experience with sales and marketing. Evidence of data-driven decision making. Evidence of flexibility and innovation in meeting student and/or customer needs. At this time, this position is open to internal and external applicants. To be considered, all required materials must be submitted no later than 4 p.m. EST Tuesday, Sept. 5, 2017, and it is the responsibility of the applicant to ensure all required materials are submitted by the closing date and time. Only online applications will be accepted; any paper applications will be rejected and returned to the applicant. As part of the interview process, applicants will be given a skills test. For more information regarding our online application process, please call 269 565-2074 or email hr@kellogg.edu. Kellogg Community College is an Equal Opportunity Employer and encourages applicants with all manner of diverse backgrounds to apply.